Weekends in November -- both Saturdays and Sundays -- Kidtoon Films family matinees presents Welcome to Lazy Town on the big screen at select local Kidtoons theaters nationwide. Welcome to LazyTown is a fun, high energy movie that will get your child up and off the couch. In this children's feature film the curious and adventurous main character Stephanie comes to live in LazyTown and encounters all kinds of zany townspeople when she arrives in town including Robbie Rotten, the laziest super-villain in the world. Fortunately for Stephanie, LazyTown is also under the protection and watchful eye of Sportacus, an athletic super hero who is always running, jumping and flying to the rescue to upset the evil Robbie's lazy schemes. Free Kidtoons Movie TicketsThat's not all. 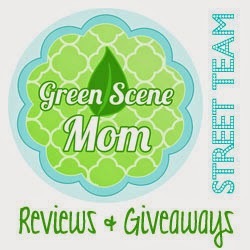 Kidtoon Films is offering FREE Kidtoons movie theater tickets valid through 12/31/12 to all Mommy Blog Expert readers to celebrate another month's quality family entertainment theater program. Note: Limit of one ticket per family. 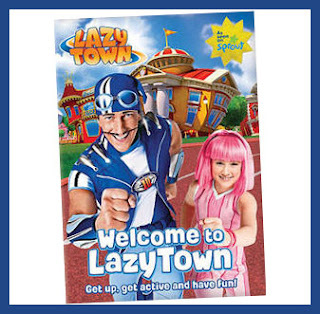 Now for the giveaway we were sent the Welcome to Lazy Town DVD for our viewing purposes. I was sent this item for review. My opinions are honest and I was not paid for this review. They have coloring pages avail. on the site. Another service Kidtoons provide parents is our educational expert Dr. Donna Mitroff. Dr. Donna reviews our monthly features and provides additional information about the plot, the level of action and the types of humor in each movie, as well as some thought-provoking discussion points and activity ideas for the whole family.